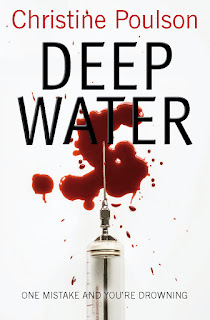 "When Martin suggested that I write about the ups and downs of crime-writing, I hesitated. The ups, yes - the thrill of publication, the pleasure of nailing a complicated plot, the satisfaction when a day’s writing goes well, the friends I’ve made among other crime writers, meeting people who have actually read your novel. I wasn’t so sure about sharing the downs. To lose one agent may be regarded as a misfortune; to lose two looks like carelessness. But perhaps my story could be regarded as one of those morality tales the Victorians were so fond of in which hard work and perseverance win the day - or else as an awful warning. Because it all started so well. I found an agent with relative ease. Bob was a lovely man, a legendary agent of the old school, already over eighty when he took me on. He sold the first two novels in my Cassandra James series to Robert Hale in the UK and to St Martin’s Press in the US. But then the crime fiction editor left to go to law school (the irony of it!). She’d loved my novels and the new editor wasn’t interested. They decided not to take the third one. In the UK I was still with Hale, but with small prints runs and no paperbacks, things weren’t looking rosy. Perhaps it was time to write a bigger, more ambitious novel. To that end, I acquired a young, ambitious agent. Too ambitious as it turned out. Before I’d even finished the novel, she’d quit to join a TV talent agency. It can be harder to get an agent in mid career than when you are setting out. Suffice it to say that years went by and the pages listing agents in my copy of The Writers and Artists Yearbook had come unglued by the time I gave up and decided to try to place the novel myself. In the end a small independent press took Invisible, my standalone suspense novel, but only as a print on demand paperback and an ebook. For my next novel self-publishing seemed preferable and though there is no shame in that, it wasn’t what I wanted." And then it happened: in September last year at the funeral of a old friend (who had nothing whatsoever to do with publishing) I got talking to a woman who asked me what I did. When I told her, she said, ‘You must talk to my husband. He’s an editor . . .’ By Christmas I had a two book deal with Lion Hudson. 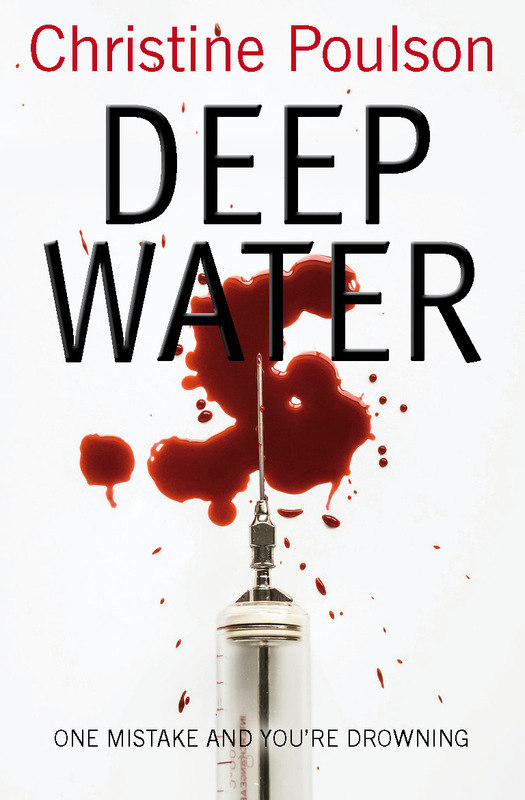 Deep Water came out on 21 October (27 January in the US), I’m hard at work on the second, and I couldn’t be happier with my new publishers. My story isn’t at all unusual (though I would advise new writers not to bank on meeting an editor at a funeral). Luck in one form or another does play a part in publishing – your manuscript has to land on the right desk. But so does sticking at it and I don’t know if I would have done that without the support of other writers who shared their own stories of disappointment and rejection and told me not to give up (yes, I’m looking at you, Martin!). It helped to know that I wasn’t the first writer who’s had to reinvent themselves. I certainly won’t be the last. The dust jacket blurb makes the bold claim that "It is fair to say that few thrillers yet published have contained as great an element of surprise in their denouement as Dumb Vengeance". To be honest, I think this is over-stating the case, because I had a rough idea of what was likely to happen at the end, but that said, the book does end well. It also begins very well. The story is told in the first person by a character called Miss Jenkins, who lives at Houghton, the home of well-to-do John Vine and his wife Gloria. Vine is a likeable chap, and Miss Jenkins is devoted to him. But here comes the first twist - Miss Jenkins is a dog. This book was, as far as I know the first crime novel to be narrated by an animal (please let me know if you are aware of an earlier example). And although it's a traditional whodunit, it's by no means as "cosy" as many of the novels featuring cats that are especially popular in the United States. It's also conspicuously well-written, and at times very witty. For a first novel, it's a very assured piece of work. It does, however, in my opinion sag somewhat in the middle, and one could argue that this is because there isn't enough meat in the plot - a brilliant short story idea has been expanded beyond its ideal length. But I can understand why Tower wanted to make the most of her original concept. I enjoyed reading Dumb Vengeance, and I look forward to reading more of her work. She really could write. The Glass Key is a well-regarded film from 1942, based on the novel by Dashiell Hammett, first published in 1931 (it appeared in serial form the previous year). The screenplay was written by Jonathan Latimer, himself a crime novelist of distinction, Latimer's later film scripts included the masterly The Big Clock, based on Kenneth Fearing's equally fine novel, and Night Has a Thousand Eyes, based on a characteristically compelling Cornell Woolrich story. The central character is Ed Beaumont, played by Alan Ladd. He's the right hand man of Paul Madvig (Brian Donlevy), a rascally political fixer who throws his weight behind the election campaign of Ralph Henry after falling for Henry's daughter (Veronica Lake). She, however, is more interested in Beaumont, who does the decent thing and rebuffs her advances. When Beaumont finds the body of Henry's son, who has been playing around with Madvig's sister, Madvig is the prime suspect. Madvig has earned the enmity of a local gang boss, who has Beaumont badly beaten up, but although Madvig behaves ungratefully, Beaumont continues to show considerably loyalty. Commendable as this is, I could have done with more insight into the reasons for Beaumont's devotion, given that he's not a closet gay character. The plot continues to thicken, and the film is watchable from start to finish. Beaumont isn't a private eye, but he plays the detective and solves the mystery to everyone's satisfaction. He even gets the girl. I find it rather sad to reflect that both Ladd and Lake, two charismatic actors, died relatively young. This is a good film which deserves its reputation,,although the book is even better, and so are The Big Clock and, arguably, Night Has a Thousand Eyes. To say nothing of The Maltese Falcon. November promises to be a hectic month, with two anthology launches (Motives for Murder, a Detection Club book of short stories) and Crimson Snow (a British Library collection of classic winter crime stories) as well as some events and plenty of writing tasks. So I decided to warm up for it with a short break in the south of Spain, where at this time of year, the weather is usually quite lovely. Our companions on the tour of Andalusia were fellow crime author Kate Ellis and her husband Roger, and an assorted group of British and Irish travellers, one of whom, by a startling coincidence, had attended a talk of mine about Dr Crippen's criminal career a few years back. The itinerary was a mix of guided tours and free time, and the balance was good, enabling us to appreciate some terrific destinations. The main stop was Seville, with its incredible Alcazar, and magnificent cathedral. I was also very struck by the dramatic modern Metropol Parador, constructed mainly of wood, designed (no doubt at great cost, but I think it was worth it) as a "cathedral without walls". You pay three euros, go up in a lift, and are able to walk up and down the undulating walkways, taking in the marvellous views all around. And a free glass of wine is thrown in. This is the life, I reflected, as I drank my wine in the shade. Four years ago I reviewed the TV version of Robert Wilson's The Blind Man of Seville, and said that I really ought to get around to reading the book. I still haven't done so, but now that I've seen the city for myself, and liked it enormously, I have an added incentive. Other destinations included Mijas, Ronda (I'd never heard of it, but was very impressed; an old bridge spanning a dramatic ravine, shown in the photo at the top of this post, is a highlight, and lunch in a garden commanding great views was also great fun), Corduba (with its Mesquita, originally a mosque but converted by the Christians, and with an alcazar that's not on the scale of its spectacular Seville counterpart but is still impressive), and finally Granada. It was a great pleasure to walk along the paths of the Alhambra, where once Washington Irving strolled, in his days as US Ambassador; his Tales of the Alhambra is now on my ever-lengthening books-to-read list as well. I've just returned from a terrific, if all too brief, holiday in Spain, but before I say anything about my trip, I want to talk about someone whose death I was saddened to learn about whilst I was travelling. 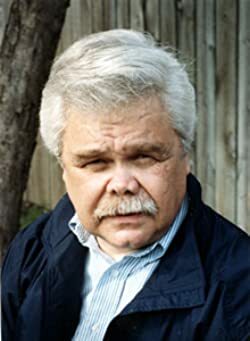 Ed Gorman, a crime novelist, short story writer, anthologist and blogger of distinction, has passed away, and I'm so sorry about this news. Ed's courage in dealing with serious illness over the past few years has been admirable, and it's such a shame that he's finally lost his battle. But he leaves many people, including me, with warm memories as well as a wonderful literary legacy. Over the years, I've mentioned Ed numerous times on this blog. My first encounter with him was unexpected but not, as I later learned, untypical. One day, about twenty years ago, I received a phone call out of the blue. The chap on the other end of the line told me he was an American called Ed Gorman, and that he'd just read an article I'd written for a British magazine about Robert Barnard. He said he was involved with the US magazine Mystery Scene and would like to reprint it. I was more than happy to agree, and thus began our friendship. Ed told me he was calling from Iowa, and I soon discovered that he was very much a home bird. I think I'm right in saying that even quite a few of his American pals never actually met him, although they, like me, bonded with him through phone calls and emails. Ed was one of those guys whose generosity was striking, and he did me a number of kindnesses over the years. He was, for instance, responsible for my finding an American publisher for Take My Breath Away. We enjoyed each other's writing, exchanging books on several occasions, and I have a nice collection of some of Ed's novels and short stories, with some marvellous personal inscriptions. Our shared love of pop music was another connection, and he introduced me to Shelby Lynne, as well as sharing my taste for novels with titles taken from pop songs - my Harry Devlin series, and his books such as the excellent Ticket to Ride. Twice he included stories of mine - "The Bookbinder's Apprentice", and a rather less well-known one, "Clutter" - in his anthologies of the year's best short crime fiction. I always enjoyed hearing from him, and although we never met in person, he will stay in my thoughts. The Motor Rally Mystery, first published in 1933, is a John Rhode novel featuring Dr Priestley. The context for the story is a round-Britain rally, evidently inspired by a real life counterpart, which sounds more like a feat of endurance than anything else. Drivers talk quite light-heartedly about falling asleep at the wheel, and when two bodies are discovered in the crashed car of a competitor, it seems to be the result of an accident. The discovery is, however, made by a group of three men travelling in a rival car, one of whom happens to be Harold Merefield, Dr Priestley's secretary and general dogsbody. The good doctor is intrigued by the story of the car crash, and he and his old chum Superintendent Hanslet start to look into the circumstances. It begins to look as though it may not have been an accident - but how can the crash have been contrived deliberately? At least half the book is devoted to attempts to answer this question, and you couldn't have a clearer illustration of the difference between this type of Golden Age fiction and present day crime crime fiction. This is a story where Rhode's interest focuses almost exclusively on the ingenious scheme dreamed up by the killer (yes, I don't think it's giving away too much to say that this is a murder story!) at the expense of pretty much everything else. I must admit that I rather lost the will to live as the doctor and his friends analysed tyre tracks. There's an odd paradox here, in that while certain technicalities are explored in excruciating detail, the introduction into the story of a character whose role clearly points to a potential murder motive is paid little or no attention. Even by the standards of Golden Age whodunits, Rhodes' lack of interest in characterising the culprit, and at least one other suspect, is striking. For good measure, he doesn't bother with a "fair play" plot, with Priestley conducting some of the key inquiries off stage. All in all, I was very disappointed with this one. A clever murder method can be a pleasing ingredient of a mystery, but here it's the be-all and end-all. I've only read a portion of John Rhode's output, but this is the feeblest book of his that I've read so far. Alive is a 1993 film adapted from an acclaimed book by that interesting writer Piers Paul Read (long ago, I read and enjoyed his novel The Upstart). It's based on the true story of the Andes plane crash in 1973. After seeing the Andes for myself last year, and realising what a formidable range of mountains they make, I wanted to see the film, and I wasn't disappointed. It's a very well made movie, tightly written and as gripping as a fictional thriller. But knowing that it's based on a real life catastrophe made it all the more compelling for me - and very poignant, too. The cast includes Ethan Hawke and Ileanna Douglas, but really it's a high calibre ensemble effort, with no real weak points. The action scenes are expertly presented, not least the plane crash itself. To my surprise, two Bacharach and David songs find their way into the story. Douglas' character hums "The Look of Love" (which has featured in a very diverse range of films indeed) and when the survivors discover a transistor radio, it starts playing Dionne Warwick's "Do You Know the Way to San Jose?" I suppose if you're stranded in the Andes, great music is a comfort, but a pretty cold one. The story is famous because the survivors resorted to cannibalism. This aspect is presented without crass sensationalism. It would be so easy for a shocking story like this to be an exercise in bad taste (so to speak) but John Patrick Shanley's screenplay and Frank Marshall's direction handle it very well. Really, it's a story about the indomitable nature of the human spirit. I found it unexpectedly uplifting. It's been a crazily busy but hugely enjoyable week. The CWA Daggers Dinner, very glitzy, was a great success, and I had a wonderful time the following evening, after zipping up from London to Yorkshire. I was hosting a Yorkshire supper at the legendary Betty's Tea Room and gave a talk about Gil North, and rural detective fiction for the Ilkley LitFest. And then, on Thursday, it was back to London again. I had a truly fantastic time, as I opened a new Classic Crime pop-up shop at the British Library. This shop is dedicated to classic detective fiction (and yes, it sells my books too!) and it will be open until the new year. And it has a very special feature, which for all I know is unique in British retailing. The Library offers visitors the chance to participate in a murder mystery competition, with prizes. And guess who was commissioned to write the murder mystery? When the Library first mooted the project earlier this year, I was intrigued, but slightly daunted by the challenge. 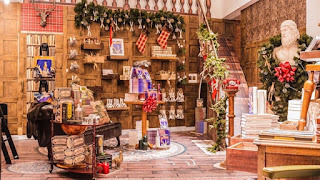 The puzzle has to interest customers, but also not be too fiendish, otherwise people will not be able to escape from the shop for hours as they struggle to solve it... But after much thought and trial and error, I came up with the story of Murder at Magenta Manor, the puzzle of who killed Murdo Magenta - and how. Almost inevitably, poisoned chocolates are involved. But what was the poison? Thursday was a Press evening, and the Library team were delighted by reaction. The excitement even attracted the interest of two real life police officers who came in for a look around and proved very entertaining visitors, happy to enter into the spirit of the mystery. No photos of them on the blog, for obvious reasons, but they made their own contribution to an unforgettable occasion. George Sims' reputation has faded since his death in 1999. He was never an especially prolific writer, and his novels aren't easy to categorise, though they can probably be called thrillers. But he was an interesting novelist, someone who liked to avoid the obvious, and since there's been little or no coverage of his work on the internet in recent years, I've picked as my Forgotten Book for today a novel called The End of the Web. The first thing to say about it is that it's a story structured in a very unusual way. Arguably, the key twist in the plot occurs only about one-third of the way through. I don't want to give too much away, but it's inevitable that such an unorthodox approach won't be to everyone's taste. Indeed, Sims' friend Harry Keating, a leading critic of the time, disapproved. That's significant, because Harry admired Sims' work, and was President of the Detection Club at the time when Sims was elected to membership. He was highly perceptive, and indeed, he included Sims' earlier novel, The Last Best Friend, in his list of the 100 Best Crime and Mystery Novels. Personally, I prefer The End of the Web (though The Last Best Friend certainly has merit). Harry argued more than once in print that Sims' unorthodoxy stemmed from amateurism - he wasn't a full time writer. I'm not entirely sure about that - Michael Gilbert is a good example of a part-timer who was the ultimate professional when it came to writing, and there are many others. But it's clear that Sims liked to go his own way, and explore ideas that appealed to him. He also drew heavily on his own intimate knowledge of the world of book dealers. In this story, Leo Selver is a dealer who gets out of his depth when he takes part in a shady transaction. He also gets himself mixed up with a pretty young girl half his age, which proves to be unwise. The real focus of the story, though, is on the efforts of young Ed Buchanan to find out what Leo has got himself involved with. It's an interesting story, quite short and snappy, yet at the same time packed with Sims' characteristic digressions. Overall, well worth a read. Ann Cleeves' Too Good to be True is an entry in the Quick Reads series. I read a couple of titles in the series when it was first established, but I've not seen the books - which are much shorter than conventional novels and also cheaply priced - around so much in recent times; perhaps I've not been looking in the right places. But this one was definitely worth tracking down, not least because it's an addition to the Jimmy Perez series. And it only costs a pound. The driver behind Quick Reads is a sobering fact. One in six adults finds reading difficult, and many never pick up a book. This is a tragedy. When I, and I'm sure all readers of this blog, reflect on how much our lives gain from reading, the thought that many people feel deterred from sharing this pleasure is truly depressing. In this positive initiative, leading writers are commissioned to write stories that are, in effect, novellas, told without the use of vocabulary that might seem intimidating. Apparently, in the last ten years, 4.5 million Quick Reads books have been distributed. An impressive figure by any standards. The books are available from libraries as well as retailers, and over three million library loans have been registered. This is a reminder of the value of our library system, and why closing libraries is a Bad Thing (I talked recently about the campaign to save Lymm Library - this is being pursued with vigour, though the outcome is impossible to foresee with any confidence). Back to Ann's book. Intriguingly, she has Jimmy leave his Shetland base to respond to a cry for help from his ex-wife, who is now married to someone else. A local woman has committed suicide - but Jimmy soon becomes dissatisfied with the official view of the case, although his personal link with his ex complicates his investigation. Ann's crisp and concise style is very well suited to the Quick Reads concept, and I'm sure that this is the kind of story that will indeed encourage people who aren't natural readers to get into this most enjoyable of habits. The Poisoned Chocolates are back! 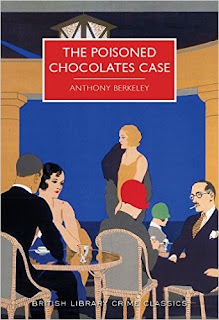 Today sees the publication of the latest title in the British Library's series of Crime Classics, and for me personally, it's the most pleasurable moment so far of my association with the series as consultant. The book is Anthony Berkeley's Golden Age classic The Poisoned Chocolates Case. And this special edition includes not only an introduction in which I set the context of the book, but two special extras. In the 70s, Berkeley's friend Christianna Brand, herself a noted plot-weaver, wrote a seventh solution which featured in an American reprint of the book. That edition only had a relatively limited circulation, however, and most British fans of the genre haven't read it. The British Library edition does, however, include the Brand solution. And what's more, it includes a completely new solution - written by me. I found writing this new "epilogue" to the story hugely enjoyable - a challenge, yes, to write in Berkeley's style and to find a fresh way of twisting the mystery, but one I loved undertaking. I know that it's high risk to write in the style of the masters of days gone by, but I've enjoyed writing new Sherlock Holmes stories, and this project was great fun. What others will make of it, time will tell.. The death of Sir George Fleet twenty years ago was written off as an accident, although H.M. has his doubts. But Sir George plunged from an apparently deserted roof top, in plain sight, with nobody else visible. How could he have been pushed, or forced off the roof to his death? When H.M. and a number of other people - some of whom were present at the tragedy twenty years earlier - attend the scene in the present day, it seems inevitable that the outcome will be murder. And so it proves - eventually - although the identity of the victim will come as a surprise to most readers, as it certainly did to me. A clock with a skeleton inside it features in the story. It's a typically arresting visual device, and Carr integrates it into his plot with great skill. There is also a superbly creepy abandoned prison - Pentecost Prison - where two of the lead characters unwisely spend the night. The Pentecost scenes are memorable, and I also thought the murder motive and the identify of the culprit were excellent. But Carr did not make as much of them as he could have done, because of his lack of interest in the darker aspects of criminal psychology. Much as I like the Carter Dickson books (and I pick them up whenever I find one I haven't read), they sometimes suffer from an over-indulgence in tedious romances and the author's over-confidence in the extent to which Merrivale's comic behaviour is genuinely amusing. For me, a little of Sir Henry the buffoon goes a long way, and that's why I prefer the books about Dr Gideon Fell. But as a detective Merrivale is no slouch, and the solution to this puzzle is ingenious though very far-fetched. An enjoyable book, but not one of his very best..
Bridge of Spies is a 2015 Steven Spielberg film, starring Tom Hanks and Mark Rylance, with a script co-authored by the Coen brothers. With a pedigree like that, I expected something special, and I'm glad to say that I wasn't disappointed. This is quite a long film, but it's so watchable from start to finish that the time zipped by. It's not always like that with long films, but Spielberg is a master craftsman. The story is based, quite closely, on real life events. It shows my ignorance of much American history that I wasn't aware of the Powers-Abel case, though I am familiar with its British equivalent, the Greville Wynne-Gordon Lonsdale case. Inevitably, some aspects of the story are rendered more dramatically than the way in which they occurred in real life, but I gather that the essentials of the story are captured fairly faithfully. The action takes place during the Cold War, in the late 50s. Rylance plays Abel a tight-lipped Russian agent (in fact, Abel was born in Benwell, in Newcastle, and educated in Whitley Bay) who is caught and charged with espionage. Hanks plays Jim Donovan an insurance lawyer who is, rather oddly, brought in to defend him. I'm not sure that the insurance lawyers I know would relish conducting high profile criminal advocacy, but that's another story. The judge is appallingly biased (I would like to think that the script exaggerates this - his behaviour is utterly crass) and Abel is convicted; he is not, however, sentenced to death, but is imprisoned instead. Powers, a pilot on a spying mission, falls into Russian hands, and the CIA persuade Donovan to broker an exchange of spies. Matters get complicated when a young American student is arrested in East Berlin, and Donovan resolves to try to free him as well. It was rather poignant, watching the Berlin Wall being built, and seeing soldiers shooting at people trying to escape. It took me back to an unforgettable trip to West Berlin in 1975. I stayed in a flat right next to the wall with Ute Wehmeyer and her family, and sometimes heard shots being fired. It was truly chilling and quite unforgettable. I've mentioned the French crime novelist Hubert Monteilhet several times on this blog. Along with Boileau and Narcejac, Sebastien Japrisot, Catherine Arley and Robert Thomas, he took the post-war French story of suspense in fresh directions, and like those other writers, his work proved eminently filmable. Thanks to Sergio of that excellent blog Tipping My Fedora, I've become aware of two films of his book.Return from the Ashes. One was Phoenix, which I reviewed earlier this year and which updates the story in a very radical way. The other dates from 1965 and is rather more faithful to the original. J. Lee Thompson does, I think, a pretty good job of turning the book into a dark and brooding movie with music by John Dankworth. The excellent cast is extremely well differentiated. Ingrid Thulin, a gifted actor who made a great impression on me many years ago in Bergman's well-regarded if rather depressing Cries and Whispers, plays the part of Michele, a very attractive and very rich widow who is also a successful doctor. Unfortunately, she falls for a good for nothing chess player (Maximilian Schell). They marry, but Michele is immediately arrested by the Nazis, and is thought to have died during the war. I really enjoyed this one, and I'm glad that Sergio directed my attention to it. The film provides a good example of French domestic suspense, which I think has a highly distinctive flavour. The music contributes to the mood, and the acting is so good that the highly melodramatic plot seems not too implausible. It's a real shame that Monteilhet and his work are not better known in this country.